Starting in the late 1970s, tens of thousands of American industrial workers lost jobs in factories and mines. Deindustrialization had dramatic effects on those workers and their communities, but its longterm effects continue to ripple through working-class culture. Economic restructuring changed the experience of work, disrupted people’s sense of self, reshaped local landscapes, and redefined community identities and expectations. Through it all, working-class writers have told stories that reflect the importance of memory and the struggle to imagine a different future. These stories make clear that the social costs of deindustrialization affect not only those who lost their jobs but also their children, their communities, and American culture. 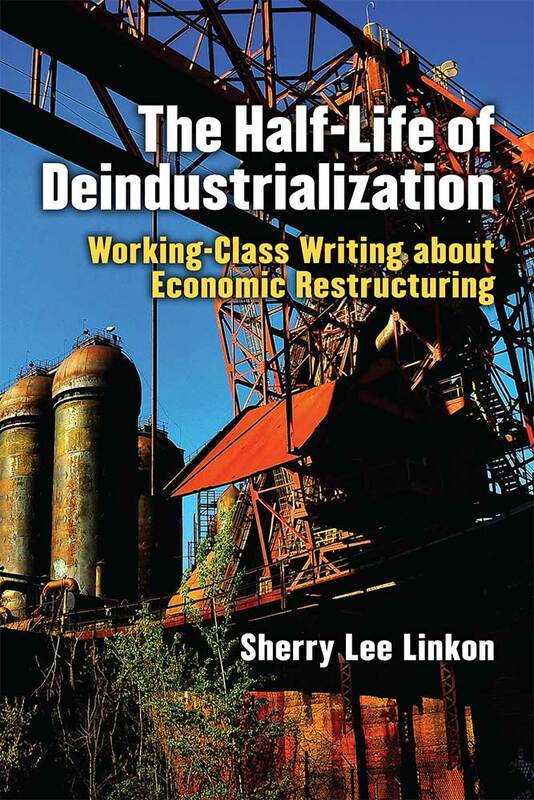 Through analysis of poetry, fiction, creative nonfiction, film, and drama, The Half-Life of Deindustrialization shows why people and communities cannot simply “get over” the losses of economic restructuring. The past provides inspiration and strength for working-class people, even as the contrast between past and present highlights what has been lost in the service economy. The memory of productive labor and stable, proud working-class communities shapes how people respond to contemporary economic, social, and political issues. These stories can help us understand the resentment, frustration, pride, and persistence of the American working class. “An important and timely contribution to studies of working-class culture in this period of economic and social transformation. Sherry Linkon understands the use value of this literature for readers and students, as a way of understanding and negotiating historical changes, small and big, and she writes with deep experience and nuance about the phenomenon." Sherry Lee Linkon is Professor of English and American Studies at Georgetown University. Previously, she co- directed the Center for Working- Class Studies at Youngstown State University.